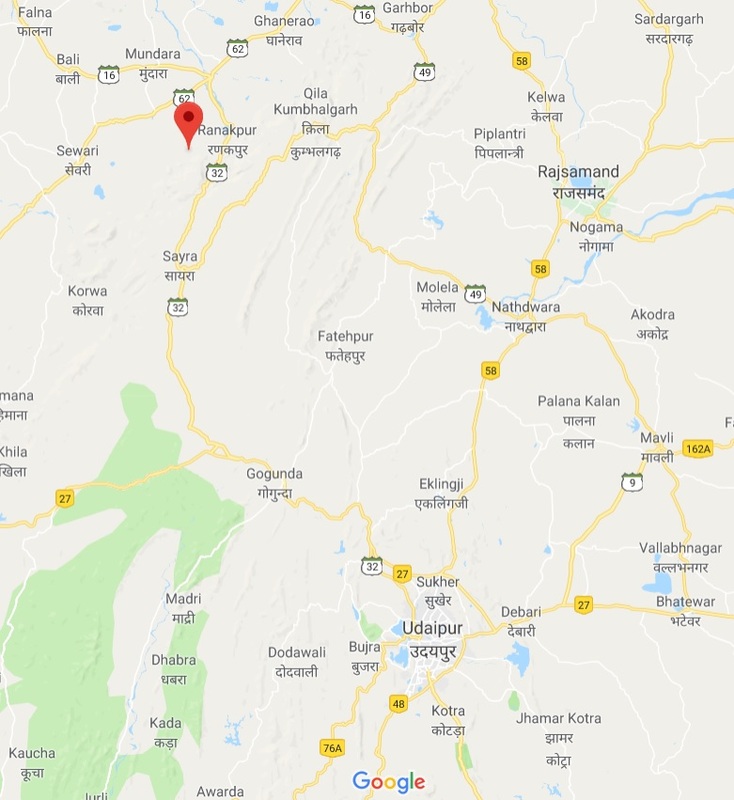 Malari village, 100 km north of Udaipur (Image: Google Maps). On day four of our CERES Global Sustainable Development, Permanent Culture and Un-learning tour to India we visited a village called Malari, 100 km north of Udaipur. 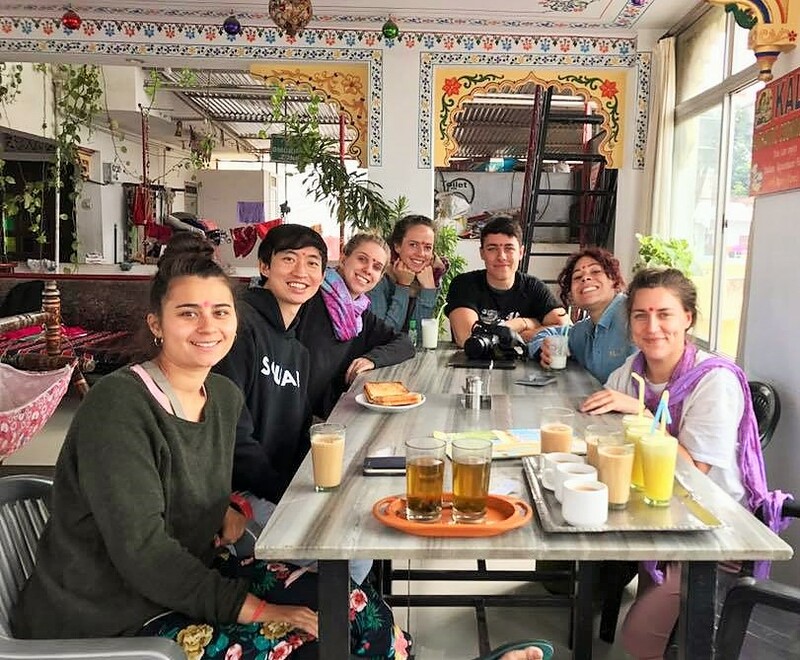 In a day of fascinating interactions, we learned about the local dairy and herding economies, got some hands-on experience with local farming practices, enjoyed warm impromptu hospitality from our village hosts, and shared in a transcendental experience of dance and music. We came away from our day in Malari contemplating both what we had come away with in knowledge and experiences, and what we had left in terms of our impact on the hearts, culture and economy of Malari residents. Our first port of call on our morning walk into the village was the dairy, where we saw farmers bring in buckets of milk from the morning’s milking. The buckets were weighed and tested for purity to ensure the milk was not thinned out with water (the farmers are payed by weight/volume of milk they bring in). 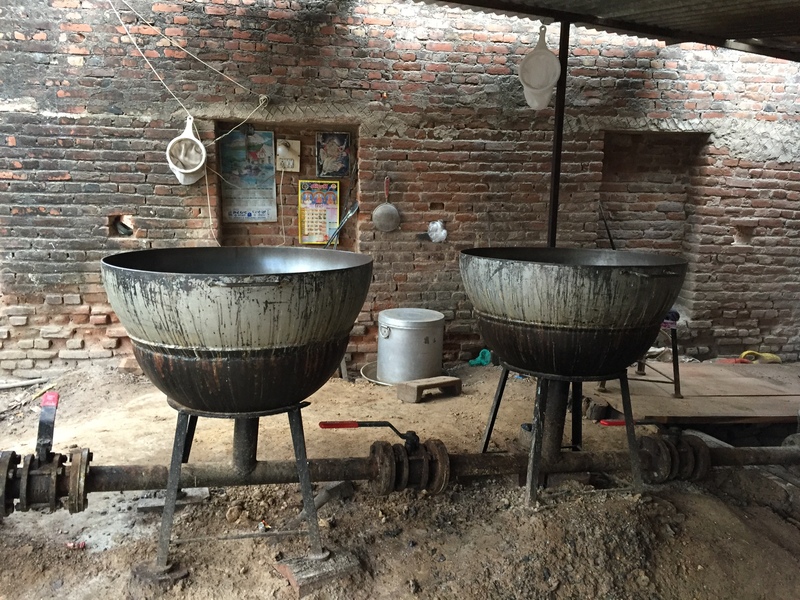 We saw the large cauldrons in which the milk is heated and curdled to separate the curd and whey of the milk, the curd being then used to produce paneer. A couple of hours later we returned to the dairy to taste the curd, which was softer and sweeter than the paneer that would later be produced from it. Outside the dairy, we came across the busy scene of a house renovation. A group of men were attempting to pulley and lever a large iron door frame up to a first floor balcony. Some of my tour-mates and I helped to hoist the heavy frame to the balcony and put the frame in place in the balcony doorway. The host family showed their gratitude by inviting us to have chai and snacks in their house, which we gladly accepted. When offered hospitality in such situations, never say no! I once heard on a TV documentary an Indian grandmother talk about sharing food as sharing love. After all, what could be a better expression of love for others than to share the stuff of life. The chai was fabulous and the home-made sweets and biscuits were delectable. Despite the obvious linguistic barrier, we nonetheless made friends with our hosts through sharing food and taking selfies with each other. Some of the females in our group tried on ceremonial sarees that were enthusiastically showed off by the young women of the house. Helping hoist the iron frame. Photo: Ben Habib. Posing for photos after hoisting the frame. Photo: Ben Habib. The photo-bomb is universal. Photo: Ben Habib. Freya models a saree. Photo: Ben Habib. Trying on sarees. Photo: Sela Vai. Freya posing for photos with one of the herders. Photo: Helen Bucknell. Three generations of new friends in the house. Photo: Ben Habib. Chris meeting some young men. Photo: Ben Habib. Enjoying chai and snacks. Photo: Sela Vai. Making friends with the matriarch of the house. Photo: Alex Tohovitis. Smoking pipes. Photo: Helen Bucknell. From chai sipping and selfie diplomacy, our group moved on to meet with a group of goat herders in another part of the village. In addition to explaining their role in the village economy, the herders shared their unique tobacco smoking pipes with members of our group. Not sure I mastered the smoking style with these particular pipes. I felt like I was oxygenating a fire with a blower like a miniature blacksmith, without inhaling much of anything. Nonetheless, successful inhalation of local tobacco was not the point; it was the inquisitive acceptance of a local custom that gave face to our hosts. In the afternoon we split into two groups and spent some time working on the farm. The group I was part of weeded out a chickpea bed, while the other group irrigated a field by manipulating hand-dug canals to channel water into different parts of the field. In a style of irrigation that is common across the region, the field was divided into small squares by 15 centimetre-high dirt levees. Water is then pumped from a well into a central ditch, about half a metre wide. A temporary dirt dam is then pushed across the main ditch to channel water into a hole in one of the square plots. When that plot is filled with water, the levee around it is sealed and a new dam is pushed across the ditch to channel water into a hole in the next square plot. So on it goes until the whole field is irrigated. The system is labour-intensive but demonstrates how a large area can be irrigated efficiently without expensive large-scale mechanised irrigation infrastructure. Also interesting was the practice we observed of creating field fencing from the fallen limbs of coppiced trees. The tree debris provides a physical barrier to intrusion from marauding herbivores as well as nutrient mass from the decaying leaf material. Field divided into smaller parcels with dirt mounds to channel water. The main irrigation ditch from the well to the field. Water travelling to the field for irrigation.. Individual plots within the field filling with water. Helen irrigating the field. Photo: Manish. Helen and Chris cleaning up after irrigating the field. Photo: Manish. Our embedded dance team—led by Freya List, with Sela Vai, Ellie Creevey, Debbie Keenan, Lucy Doherty, Pablo Lee, and video guru Sean Higgins—choreographed a beautiful dance routine to perform for residents of Malari during the evening. Everyone from the village was there to watch the dancers perform. Partway through the routine the portable speaker playing the song put a stop to the choreographed routine. However there was no need to despair, as the village drummer stepped up and pounded out beats for the next couple of hours. The locals were hesitant at first to join the dance. Our dance team encouraged some of the younger people to join in and from there, the whole village gradually got involved in the movement. The drumming was mesmerising, the dancing exhilarating and empowering. Huge congratulation to Freya and her dance team for facilitating such a positive and uplifting experience for everyone involved. Our wonderful dance team! Photo: Freya List. This was my fifth mission as a facilitator on a tour organised by CERES Global, both with La Trobe University study tours and CERES Global independent tours. I have been involved in the great work done by Ben Walta and Sophie Edwards from CERES Global to develop engagements are designed to educate and engage participants on global cultural and environmental issues. The engagement are intended to encourage participants to learn about the challenges that host organisations face and by visiting local projects that empower local people to create culturally relevant and sustainable community-level change. The aim is to support genuine friendship-building between participants and the host communities through ongoing mutual exchange that results in capacity building for the local community. Every tour participant has a role to play in fostering good tourism practice. We can influence things such as the products and services we select, making decisions based on knowledge gained from local information, and the way we choose to interact as a group with the environment and people we encounter. Our interest as foreigners in the cultural customs and agricultural practices of the village provided validation of local knowledge, consistent with the decolonising philosophy of our host organisation Shikshantar who wish to recognise and preserve the wisdom of village knowledge systems. A monetary gift to the dairy and the herders was budgeted into our tour cost, providing some financial benefit to the village from our visit. Less obvious is the impact of our visit on the culture of the village. The very act of contact inevitably leaves an imprint on both parties. Our different modes of dress, the technologies we brought with us, and the gender relations within our group, as observed by our hosts, all leave an imprint that could shape or challenge existing cultural norms. This was particularly evident during the dance performance evening. At the very least, the process of interaction humanised our respective groups across a significant cultural divide, bringing out the best in both.